The MSI GT660 looks like a well designed and great-looking gaming laptop, so we were a bit surprised when the original model came with “only” a DX10 graphics card – the Nvidia GTX 285M. Well it looks like MSI were on the same page, as the manufacturer has just released the GT663, where the GPU has been replaced with the new and improved 40nm GTX 460M. 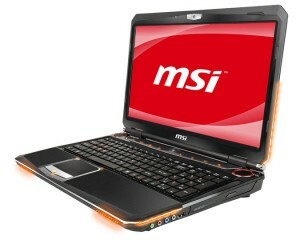 This, in our opinion, makes it a much more interesting and competetive laptop overall. An even better upgrade would have been the GTX 480M, but that one might be too hot for a 15.6-inch model. Other than the GPU upgrade, not much has changed in the GT663, but that’s of no consequence as it’s a very capable laptop in all other respects. It comes with high-end hardware including a quad-core Core i7 CPU, USB 3.0 support and TDE (Turbo Drive Engine) – a feature that provides hassle free overclocking.